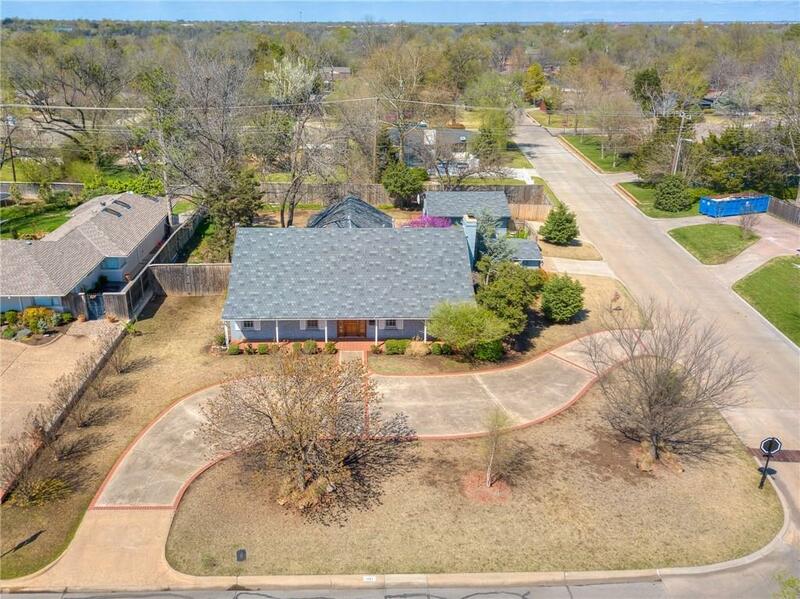 OPPORTUNITY AWAITS...Expansive corner lot with circle drive on premier street in Nichols Hills, many modern updates. LOADS of potential in this space. Owner has loved this home for many years. All bathrooms have been updated with high quality materials, and a modern twist. Experience a generously sized living area with gas log marble fireplace, gorgeous pine hardwoods, and ample built ins. Kitchen has been updated with custom cabinetry, Thermador stainless appliances, gas range, and wine bar. A magnet for social gatherings. Private treed backyard...sense of peace in this space. ENDLESS POSSIBLIITES! Plenty of room to drop a pool in, and even do a guest quarters, pool, and/or cabana. If you're needing more space there is an opportunity to add a second story. This lot is incredible. Make this space a reflection of you. Visualize now. Call today!